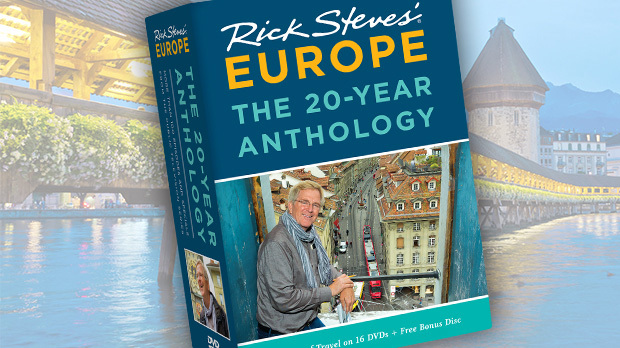 As Europe unites, ethnic regions — suddenly seen by established nations as less of a threat — are freer to wave their flags, speak their languages, and celebrate their uniqueness. You feel that in Basque country — where France, Spain, and the Atlantic come together. Insulated from mainstream Europe for centuries, this plucky region has maintained its spirit while split between Spain and France. Proud of their language and culture, many locals can switch effortlessly from Euskara (the Basque language) to Spanish or French. Euskara is unrelated to other west European languages. Play Scrabble here and you're into some big scores — the language is filled with K's, TX's, and Z's. Restrooms in Basque are gizonak for men and emakumeak for women. 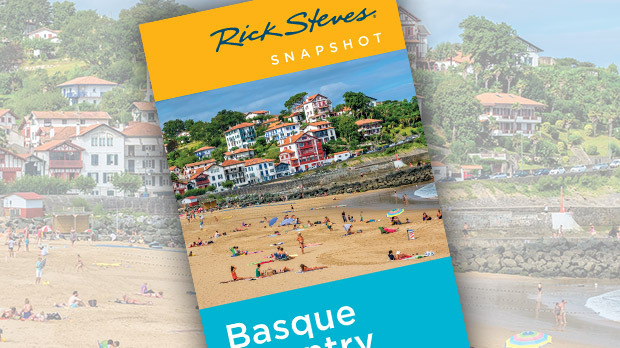 The highlights of a quick visit to Basque country are France's charming little St-Jean-de-Luz, and Spain's resort of San Sebastián, historic Guernica, and the Guggenheim Bilbao modern art museum. San Sebastián, with easy 60-minute bus connections to each and the best tapas scene anywhere, is the ideal springboard. Shimmering above the breathtaking bay of La Concha, elegant and prosperous San Sebastián has a favored location with golden beaches, capped by twin peaks at either end. Its delightful beachfront promenade runs the length of the bay, with an intriguing Old Town at one end and a smart shopping district in the center. It has 180,000 residents and almost that many tourists in summer. With a romantic setting, a soaring statue of Christ gazing over the city, and a late-night lively Old Town, San Sebastián has a Rio de Janeiro aura. 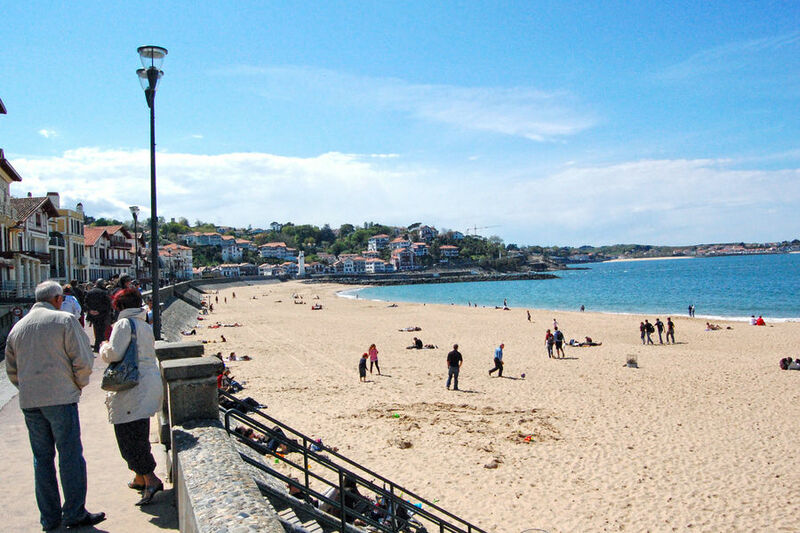 St-Jean-de-Luz, just over the border in France, sits happily off the beaten path, cradled between its small port and gentle bay. Pastry shops serve Basque specialties, and store windows proudly display berets. Ice-cream lickers stroll traffic-free streets, and soft, sandy beaches tempt travelers to toss their itineraries into the bay. While the town has precious little of sightseeing importance, its relaxing beach and port town provide the most enjoyable dose of Basque culture in France. St-Jean's claim to fame: the church where Louis XIV and Marie-Thérèse tied the royal knot in 1660. Shops still bake the macarons Louis munched during his visit. 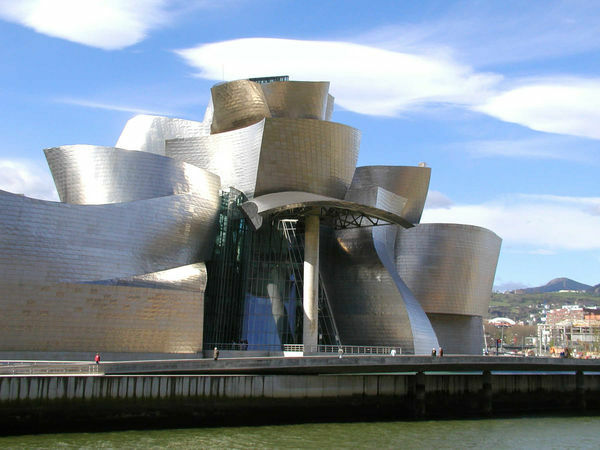 Back in Spain, the industrial city of Bilbao boasts the Guggenheim Bilbao modern art museum. While the art here is no better than that in Europe's other great modern art museums, the building itself — designed by Frank Gehry and opened in 1997 — is the reason why so many visit. Using cutting-edge technology, unusual materials, and daring forms, Gehry created a piece of sculpture that smoothly integrates with its environment and serves as the perfect stage for some of today's edgiest art. The building (well-described by the museum's audioguide) looks like a huge, silvery fish, and visually connects the city with its river. Its skin — shiny, metallic, fish-like scales — is made of thin titanium tiles, carefully created to give just the desired color and reflective quality. Because this museum is part of the Guggenheim "family" of museums, the art collection perpetually rotates among the sister Guggenheim galleries in New York and Venice. The best approach to your visit is simply to immerse yourself in a modern-art happening, rather than count on seeing a particular piece or a specific artist's works. While the Guggenheim museum symbolizes a modern spirit, just nine miles away, the town of Guernica has a long, rich, and hard-fought Basque heritage. Guernica is near and dear to Basques and pacifists alike for good reason. This is the site of the Gernikako Arbola (oak tree of Guernica), the ancient assembly point where the historic Basque leaders met through the ages to assert their people's freedom. Long the symbolic heart of Basque separatism, this town was a natural target for Franco in the Spanish Civil War. His buddy Hitler agreed to use Guernica as a kind of target practice in 1937. This historic "first air raid" — a prelude to the horrific aerial bombings of World War II — was commemorated and made famous by Picasso's epic work Guernica (now in Madrid). The Basque terrorist organization, ETA, primarily active in Spain, is supported by only a tiny minority of the population. The ETA, which has been blamed for about 900 deaths since 1968, focuses their anger on political targets rather than tourists. Exploring Basque country is a powerful reminder that while political borders may ignore ethnic groups, Europe's feisty ethnicity lives on. And these days, as Europe unites and establishes a vision that values the ethnic diversity of the Continent, "peoples without nations" such as the Basques are enjoying support from the European Union and a promising future.